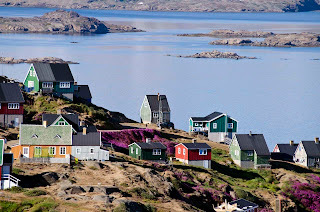 In August of 2012 I took part in a trip in East Greenland organised by www.seakayakadventures.co.uk. The group consisted of 5 paddlers including our leader Martin Rickard. Some of us flew into the airport on the island of Kulusuk in late July 2012. After meeting up with Martin we piled our gear into a boat which took us across to Tasiilaq on the island of Ammassalik. ﻿﻿ Tassilaq is the largest town in East Greenland but still only has a population of c. 2000. It is set in a stunning location on the edge of Kong Oscar Havn with rugged mountains set behind the ice berg studded bay. 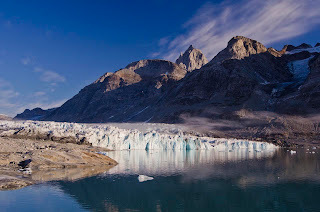 During the following 10 days we circumnavigated Ammassalik Island, camped at the face of the Karale Glacier and met the locals, friendly and helpful people even though we couldn't speak their language. We paddled approx 260kms, some of it through ice berg choked fjords, and set up our tents in the most spectacular and awe inspiring settings I have ever experienced. 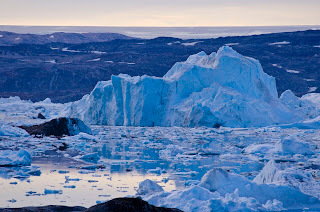 We paddled with huge Fin whales, had a cheeky Arctic Fox investigate our camp, saw an iceberg roll directly in front of us and sat around campfires sipping whisky under the vast Greenland sky at night. 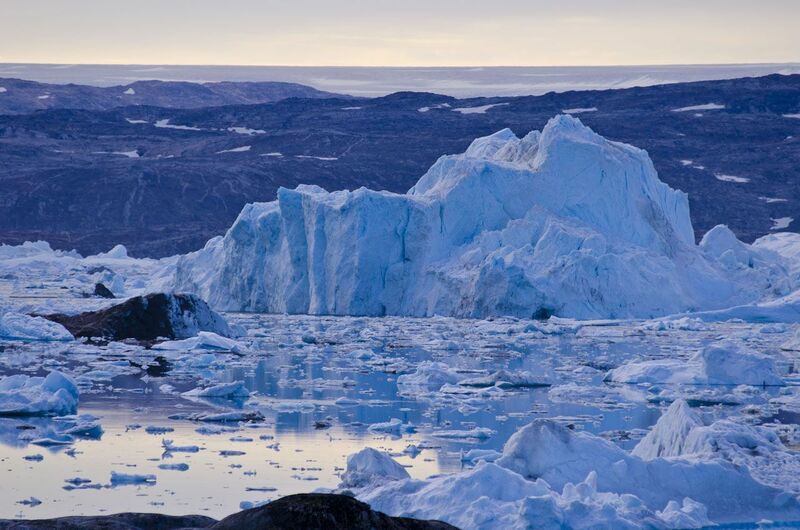 ﻿﻿﻿Greenland is a fascinating contrast of raw nature at its most elemental, and a civilisation that is struggling to adapt to modernity and global warming at the same time. This area of Greenland occasionally experiences katabatic winds called Pitteraqs. These can utterly destroy everything in their path. 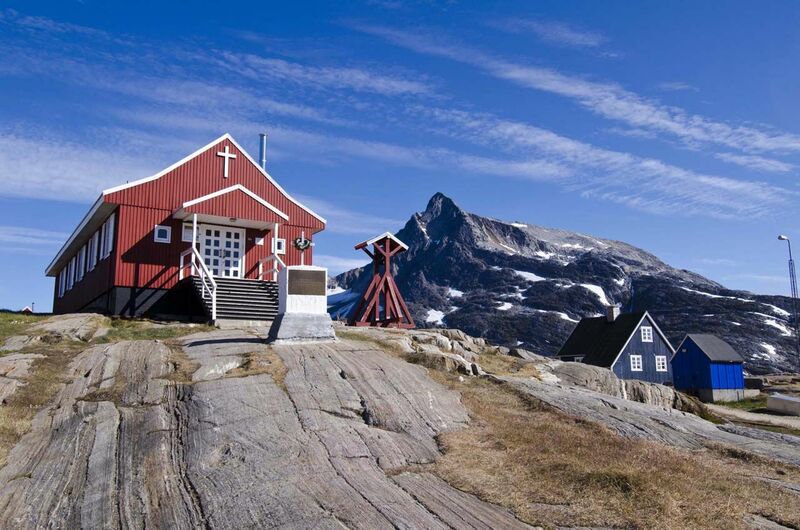 In 1970, a Pitteraq destroyed Tasiilaq, with wind gusts up to 324 kph. The town was subsequently rebuilt. ﻿﻿ The water temperature in the fjords was as low as 1.9C on our last trip and there is a constant cracking and booming as the ice and icebergs shift, roll and decay. This necessitates the wearing of a full Goretex drysuit for safe travel. Nevertheless, this is a stunning landscape that instantly slipped into my blood and said "you WILL return". And I am. 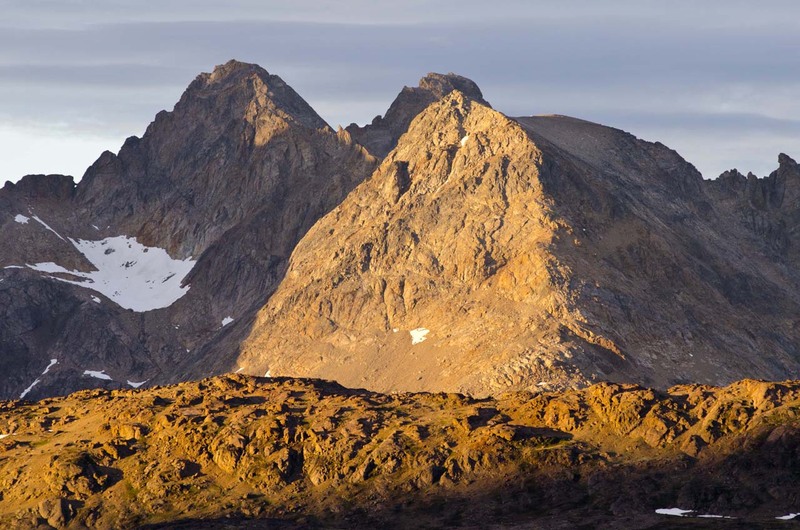 In September 2013 I will embark on a 10 day solo sea kayak expedition in this awesome landscape. Hiring the same kayak as I used before, I intend to paddle out of Tassilaq harbour on the 30th August, weather permitting, and head up Ammassalik Fjord. On the third day I will enter the massive, iceberg choked Sermilik Fjord and if conditions allow I will paddle down to a hut located 10kms south of the outlying Inuit settlement of Tiniteqilaq. 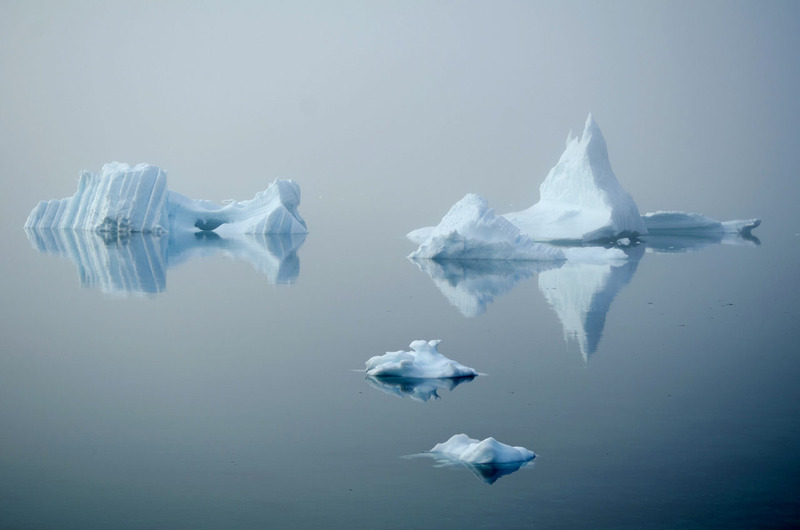 This fjord, 100kms long and fed by one of the world's most active glaciers, the Helheim Glacier which moves at the staggering speed of 11 kms per annum, adds a huge number of icebergs to the North Atlantic ocean. It has been studied by scientists concerned with global warming and has produced some interesting facts. The calving face of the Helheim Glacier is 83 metres high, BUT, it extends a further 800 metres down below the water's surface!! That is a staggering depth of ice and gives some sense of scale of this land of giants. The fjord is up to 950 metres deep and the trench from the glacier extends right out to the edge of the continental shelf 200 kms from the coast. 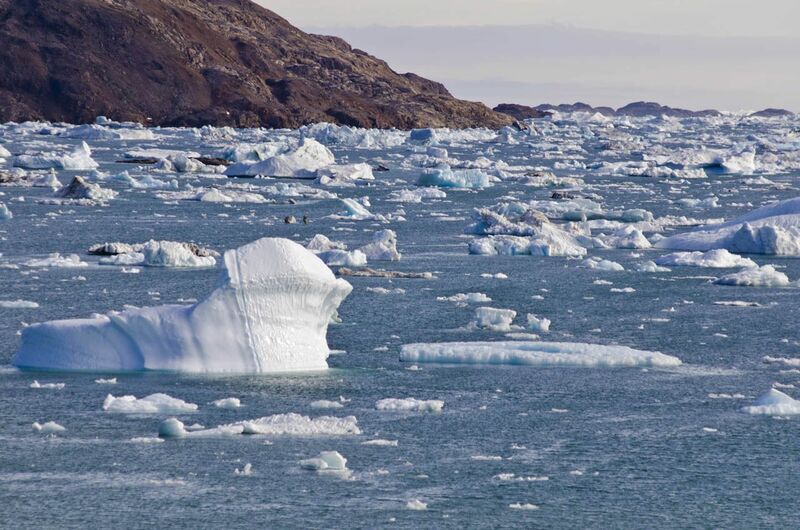 Deep flowing warmer currents of water of temperatures up to 7°C travelling up the East Greenland coast beneath the cold South flowing current feed into the fjord trench, travelling right up to the glacier snout, massively increasing deep melting. Greenland has been recognised as one of the most dramatically changing landscapes due to global warming and it has now attracted intense study from the scientific community. Some of the glaciers in summer are losing as much as 10cms of ice per day! 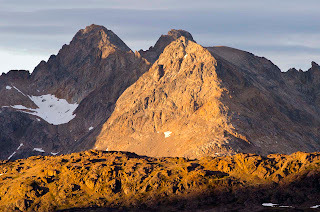 ﻿On leaving the Sermilik Fjord, I will paddle up to the small settlement of Kuummiut, a place of much friendship and laughter, and then continue on up a narrow, dramatic valley staying in a small hut called simply, the Blue Hut. 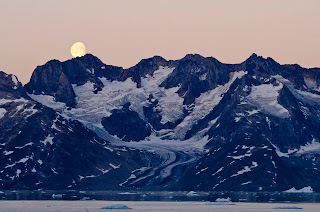 The next day I will paddle up to an area of tidal glaciers, possibly camping at Knud Rassmussen Glacier. Last time we camped at nearby Karale Glacier and from a small rise I was able to count 29 glaciers in a 360 degree view!! This is the land of ice and glaciers. I plan to be on the water for 10 days, covering approximately 300 kms but naturally allowance must be made for bad weather holding me up. I will be receiving forecasts by Satphone and I will also have a neat little unit called a DeLorme InReach Messenger with me. This unit pairs with an iPhone and enables the sending of messages or emails from the iPhone to recipients via satellite. Weather forecasts will be vital for safe travel here and they will dictate my movements totally. Travelling alone, I am aware that all decisions and judgements need to be conservative and safety based so during unsettled or bad weather I will stop and wait.